A couple of days ago one married couple came to our hotel. After greeting them, I asked them why they like it humbly. 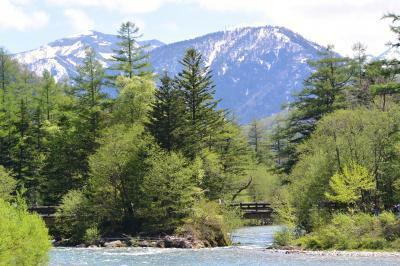 They said, my blog brings nature of Kamikochi to them. It means, they feel being in Kamikochi when they read this blog. I was so touched and cried with moving. I opened my personal life in this blog before that I love sweet stuff. They brought a sweet cake. Again, I was touched by their feelings. Thank you for our encounter through our hotel. You motivated me write this blog more and more.